We may say we are all part of a large gaming community, but some groups of players may be living in a walled off city, isolated from the popular discussion of games. 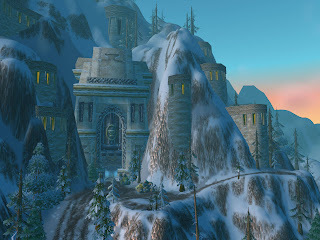 World of Warcraft may have millions of players, but is the WoW community excluded now more than ever? Katie Williams thinks so in her article that inspired this week's podcast discussion. Who built these walls? What are we losing by isolating ourselves? And most importantly, how do we tear these walls down? Join Scott and me this week while we try to answer these questions and many more. As always, we encourage you to read Katie's original piece which you can find in the show notes below. We also encourage you to share your thoughts in the comments section.